I got complaints from our Southern readers that we haven’t had any WCW wrestling videos. Well, we’re going to fix that in a big way. Reader Peter S. from Charlotte suggested this doozy. 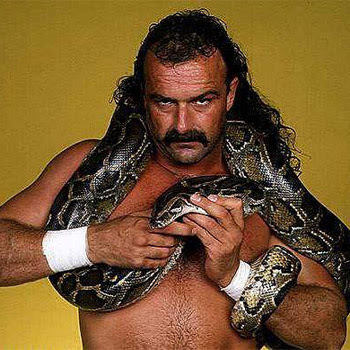 He writes, “Everyone knows that Jake ‘The Snake’ Roberts and Sting used to love hanging out at gay leather bars, but in the days leading up to Halloween Havoc ’92, their sick games got even more intense.” Couldn’t have said it better myself. Take it away, JR.